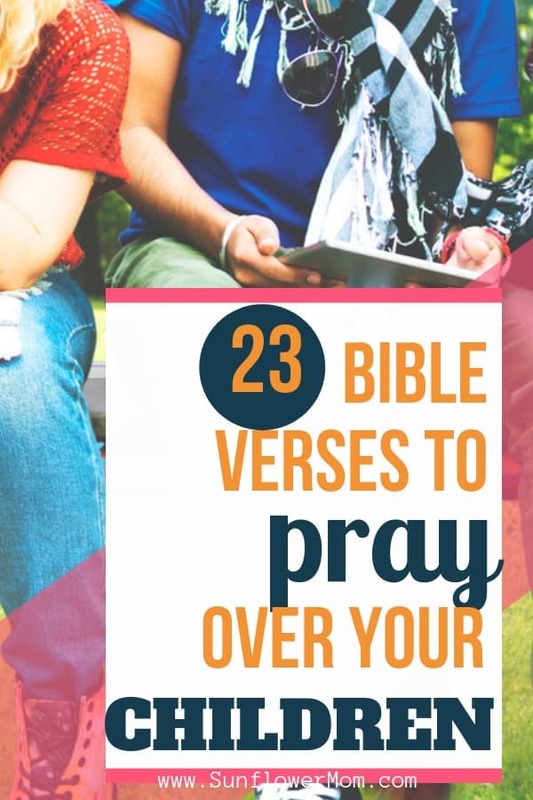 Inside: 23 Bible verses for youth you can use to pray over your children or give to your child when they are going through tough times and need God’s unfailing love. Free download includes scripture cards. Our kids go through the same emotions as us: anxiety, worry, comparison, insecurity, and on and on. And although we want them to turn to God, spending time in the Bible searching for the verses we need at just the right moment takes time. It’s also a skill and discipline that’s learned over the years. Not something we can throw a Bible at our children and expect the perfect verse to pop out at them. 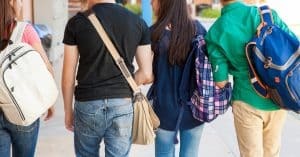 These 23 Bible verses for youth are broken into major categories for you to either pray specifically over your child or teen during the season they’re struggling with the most or share a verse or two with them. Your child can hang the verse up in their room or locker, or keep it in their pocket. Depending if they’re going through a rough season, the pressure of memorizing scripture can feel daunting, so simply giving words of encouragement from our heavenly Father is sometimes more than enough. 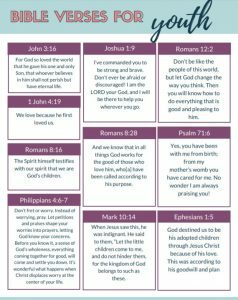 At the bottom of the post, there’s a link for you to download and print all the bible verses for youth. The majority of our youth today weren’t raised on the old King James Version of the Bible. for this reason, some of the older versions won’t make sense to them. If the Bible doesn’t feel relevant or speak your child’s language, they won’t listen to the Word of God. Using Bible Gateway, all the verses below were translated into versions that youth will most likely relate to. If you or your child doesn’t like how a bible verse sounds, plug the verses into Bible Gateway and try another version. Perhaps your child will find one they resonate the most with and request a Bible in that version. Here are the versions used in the Bible verses for youth below. I’ve commanded you to be strong and brave. Don’t ever be afraid or discouraged! I am the LORD your God, and I will be there to help you wherever you go. Even the hairs on your head are all counted. Don’t be afraid. You are worth more than many sparrows. Treat people in the same way that you want them to treat you. Honor your father and mother. Love your neighbor as yourself. Visit the resource library and download these 23 Bible verses for youth for free. Post them by their bed and use them to help your child pray if they are struggling over a specific area.